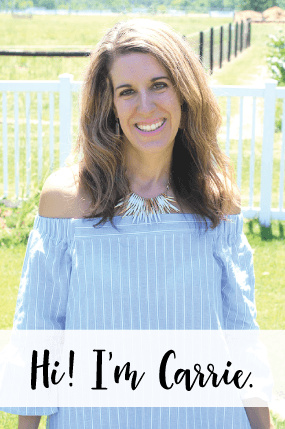 Today I am sharing my latest visit to Here Today (in Arnold) and what I found in their fashion department! 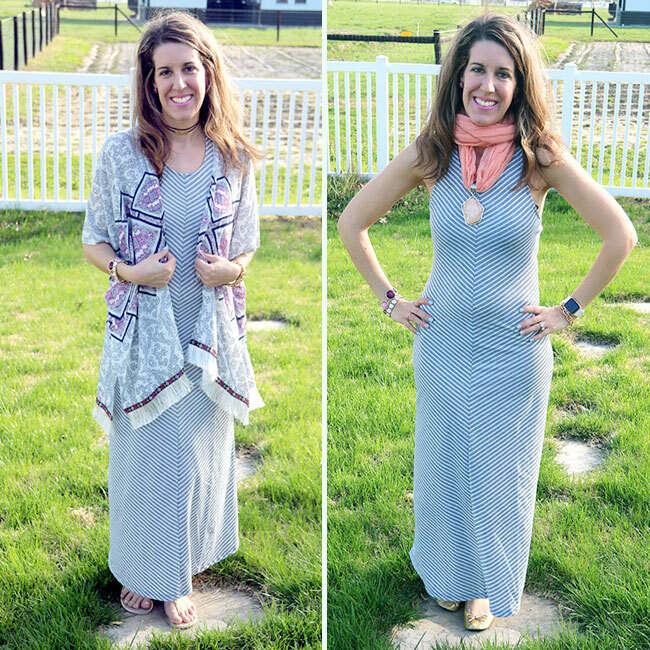 I’m sharing 2 Ways to Style a Spring Maxi with items from their store! Here Today has a lot of Spring merchandise in right now, so that you can create the perfect outfit for any upcoming gatherings! Here Today has several other locations in the St. Louis area, such as Fenton (Gravois Bluffs), Lake St. Louis, Florissant and even Fairview Heights, IL, Shrewsberry and more! You can find all of their locations HERE. 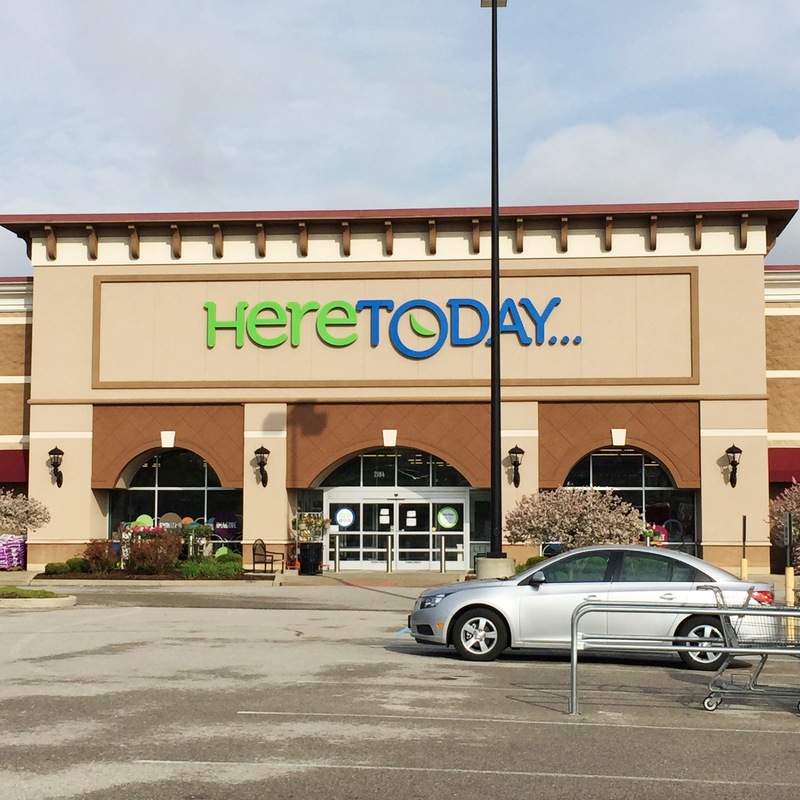 The Here Today store is broken up into different departments. The fashion area is in the ‘Embellish’ department. You’ll see there is a wide selection to choose from in this area and they even have a small mens section! 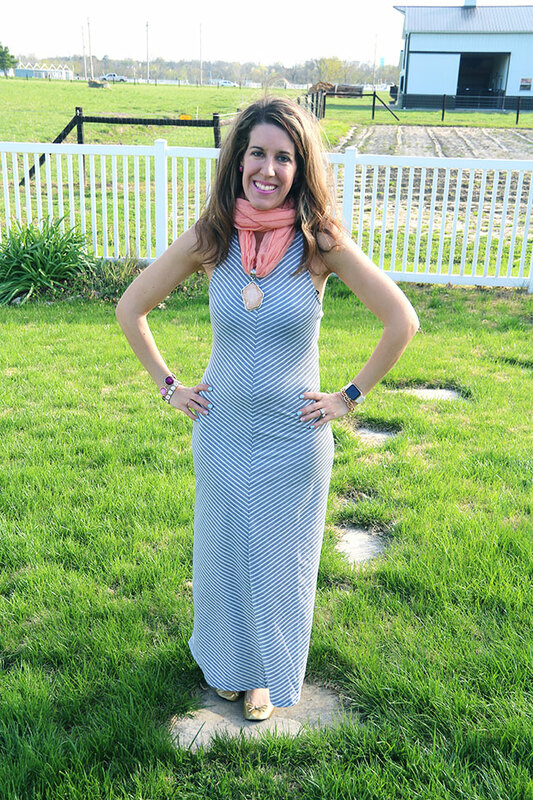 Now, let me share with you how I styled a simple striped maxi from Here Today. Here Today has a great selection of maxi dresses. 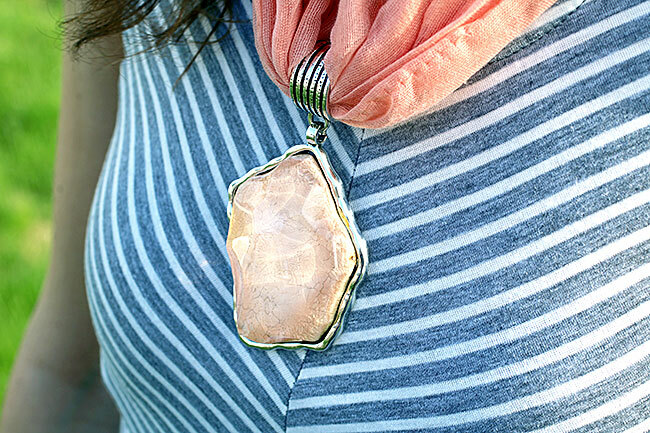 I selected this simple striped one in gray and white and it is so easy to accessorize different ways. For this particular look, I paired it with a kimono that I also found at Here Today. They also had several other patterns and colors. I really love the fringe detail on the edge. 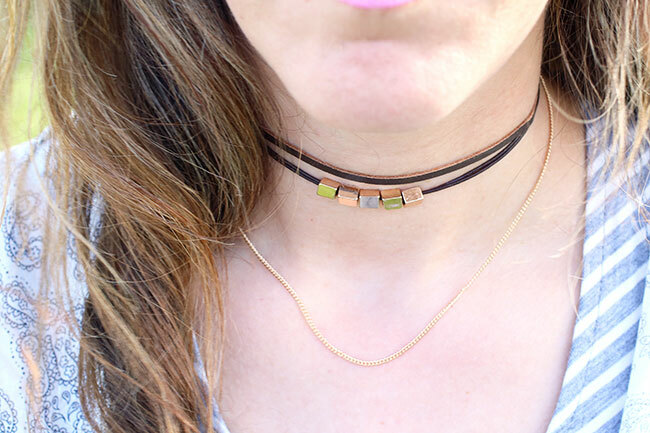 Here Today also has a lot of great jewelry, including chokers which are on trend right now. I wore these adorable blush sandals with this look. 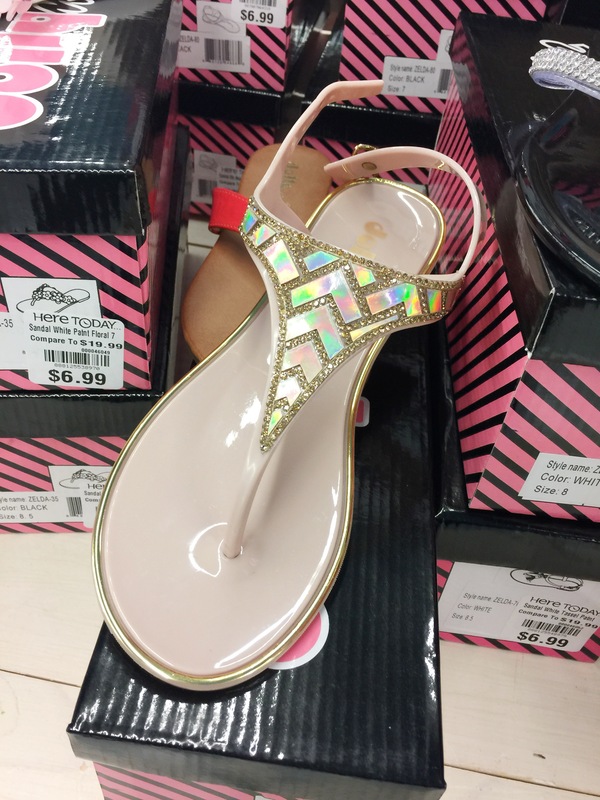 They are so cute and were priced at only $6.99! You can’t beat that! 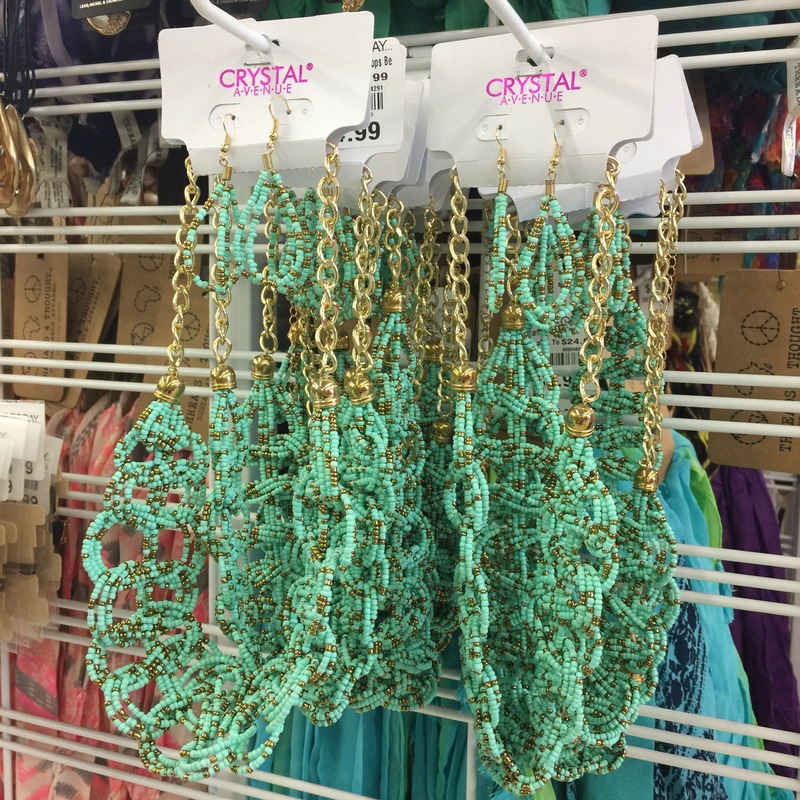 Here Today has an assortment of scarves in Spring colors and with jewels/pendants on them. 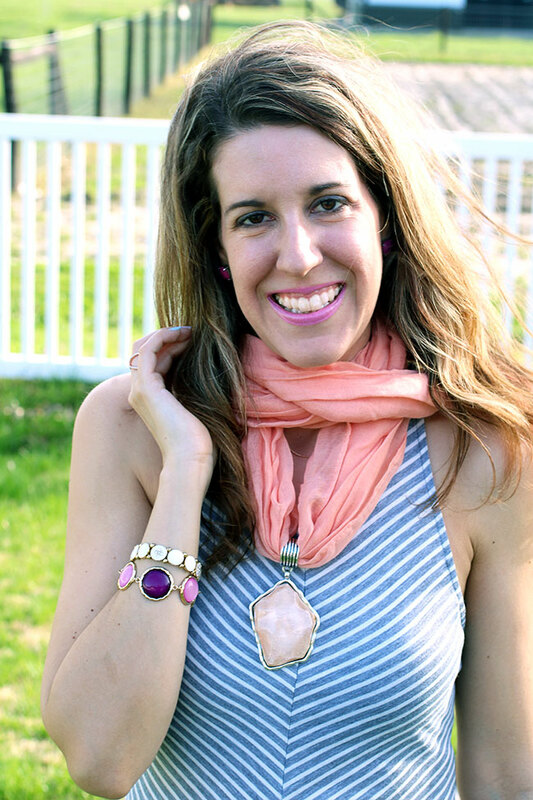 I picked up this coral scarf with pendant and it really adds some pizazz and color to this simple maxi. What is also nice is if the temps are a little cool in the morning or evening, I can wear the scarf around my shoulders. 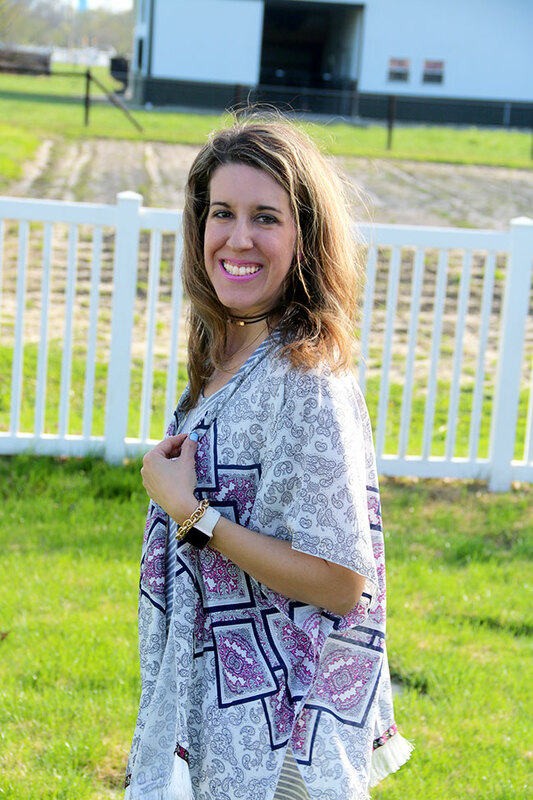 You can see the other colors offered in these scarves in the above photo. You’ll also see that Here Today also has some adorable accent bags. 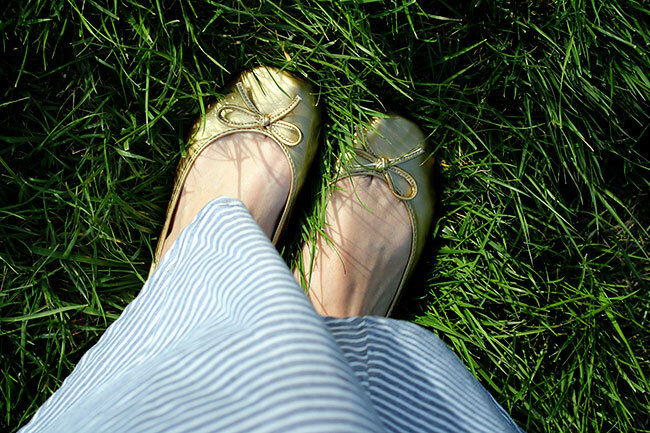 These gold flats are so cute and you’d never guess that they fold away in a little bag so you can tuck them in your purse! They come in a few different colors, too! 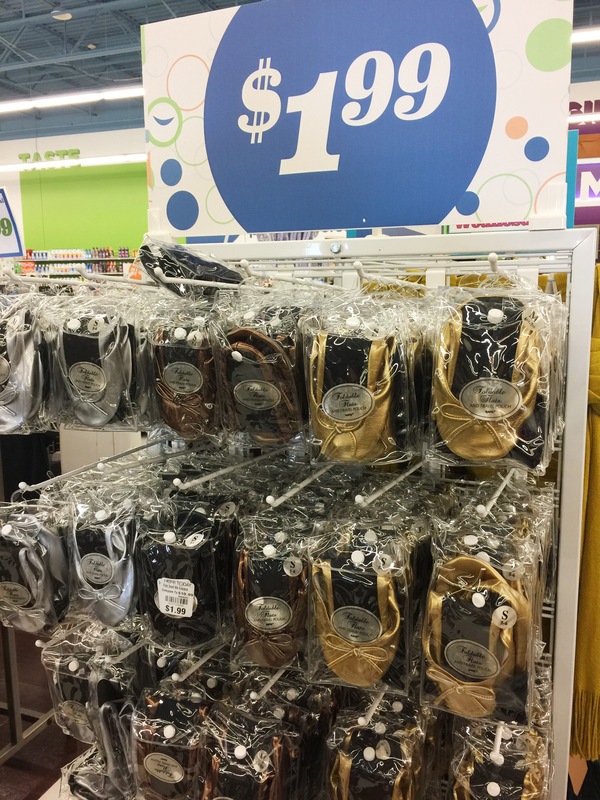 And, for $1.99, you could almost grab one of each color! 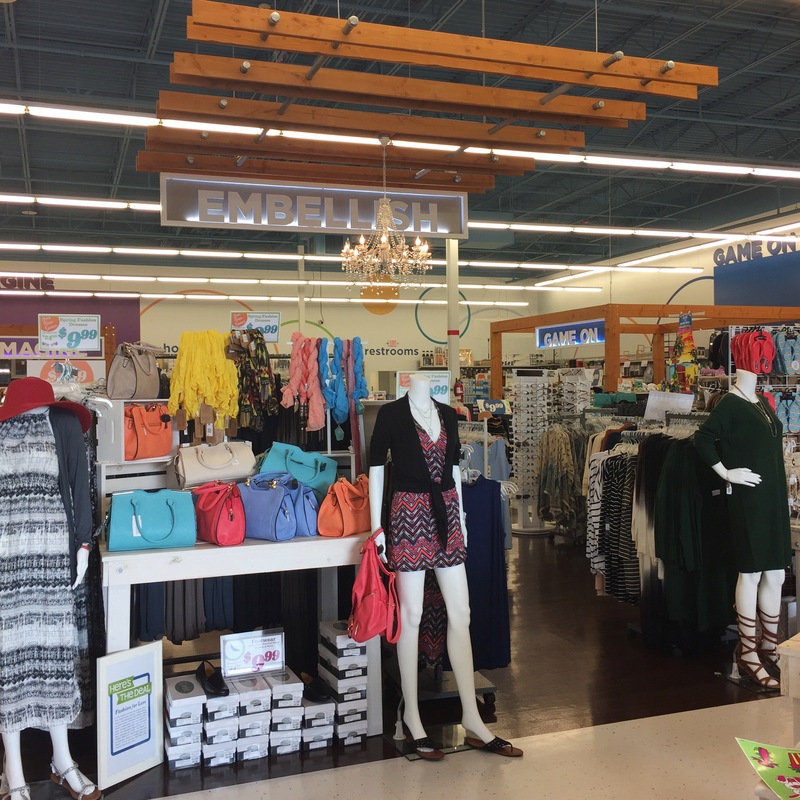 I saw so many stylish items while I was browsing the Embellish department at Here Today. Look at this beaded earring and necklace set. 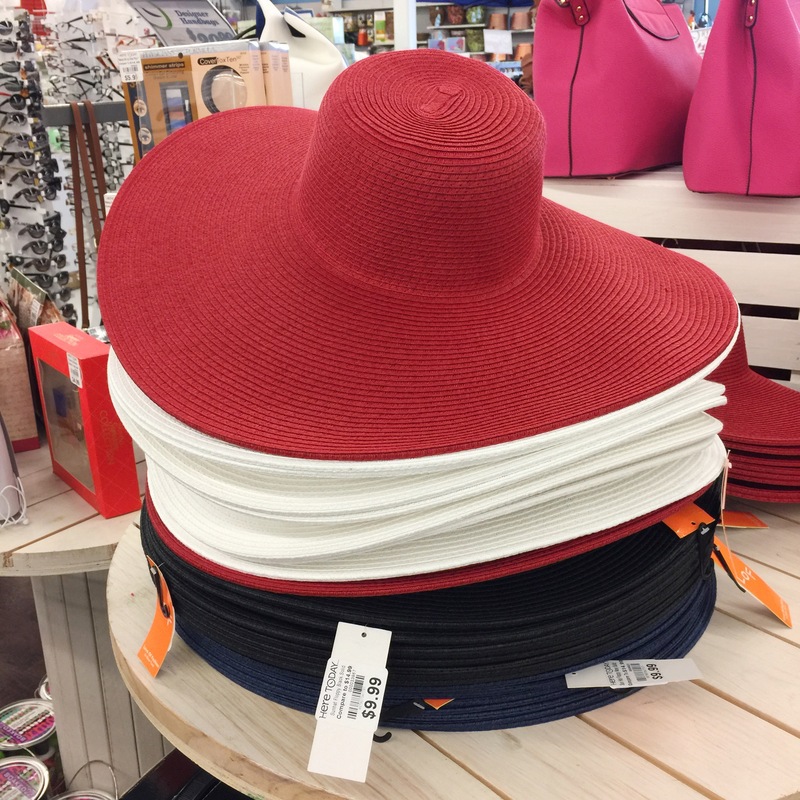 I also love these sun/beach hats! 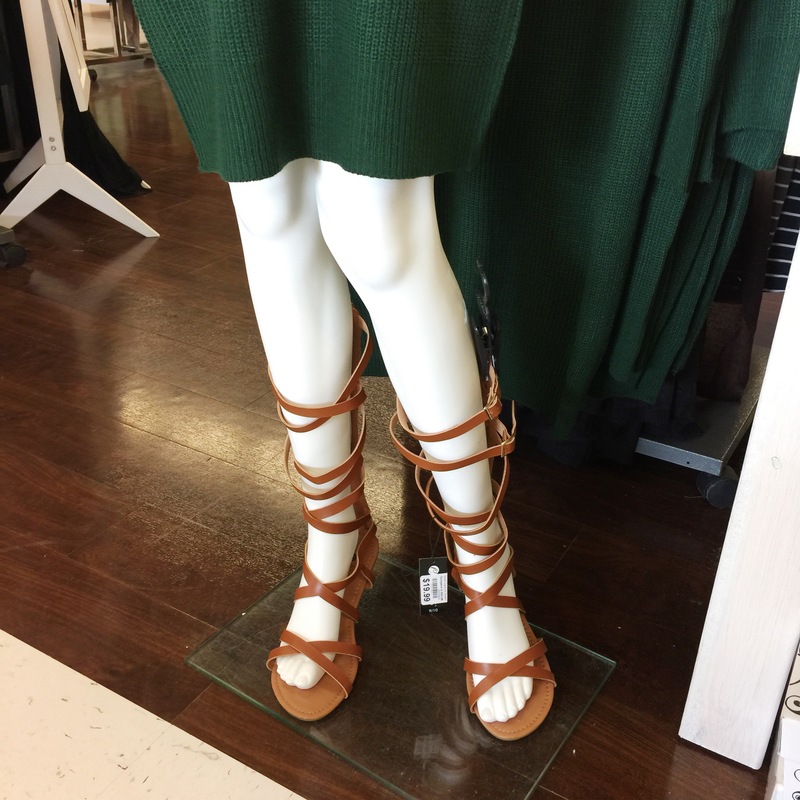 I’ve always wanted a pair of gladiator sandals, but didn’t wan to spend a fortune! 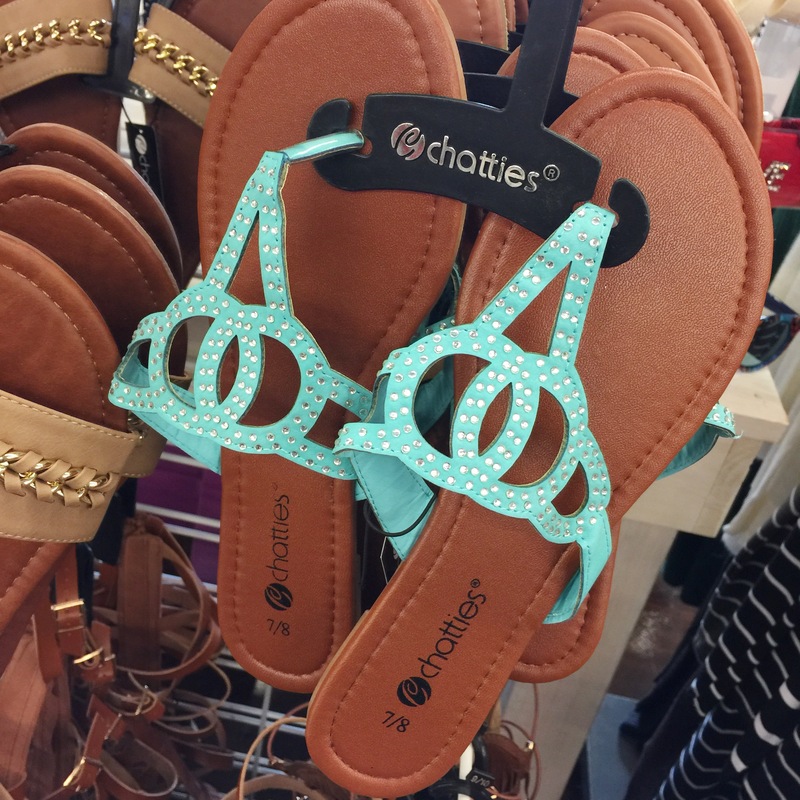 And, these turquoise sandals are too cute! Be sure to check out Here Today if you are looking to save money. 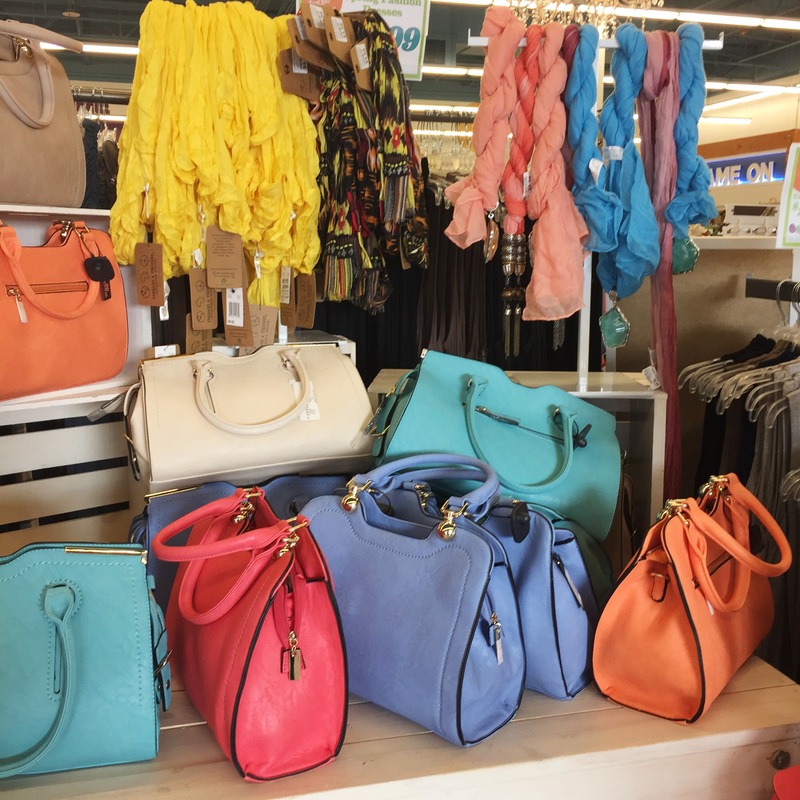 You’ll definitely have a rewarding shopping experience. What must-have Spring items are you looking for? This post is sponsored by Here Today. All opinions expressed in this post are my own.